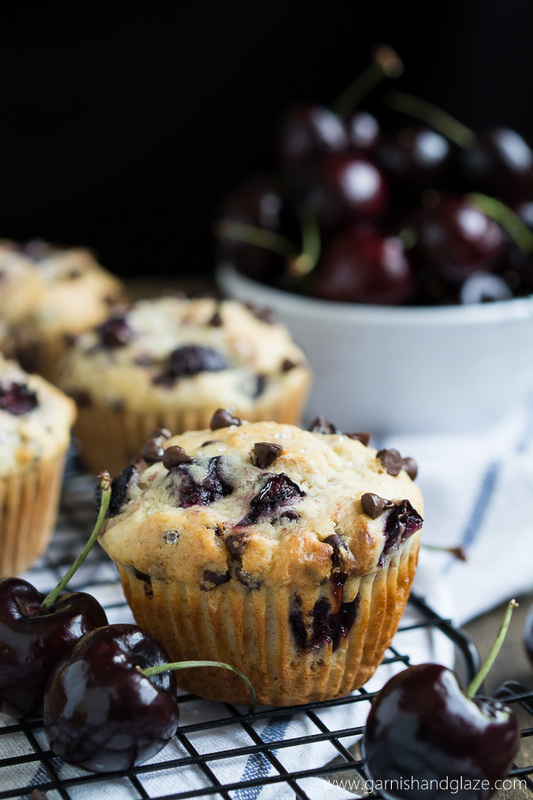 Enjoy summer’s fresh cherries in these scrumptious Cherry Chocolate Chip Muffins. Like many of you I LOVE chocolate. A day without chocolate is not worth living… am I right?! 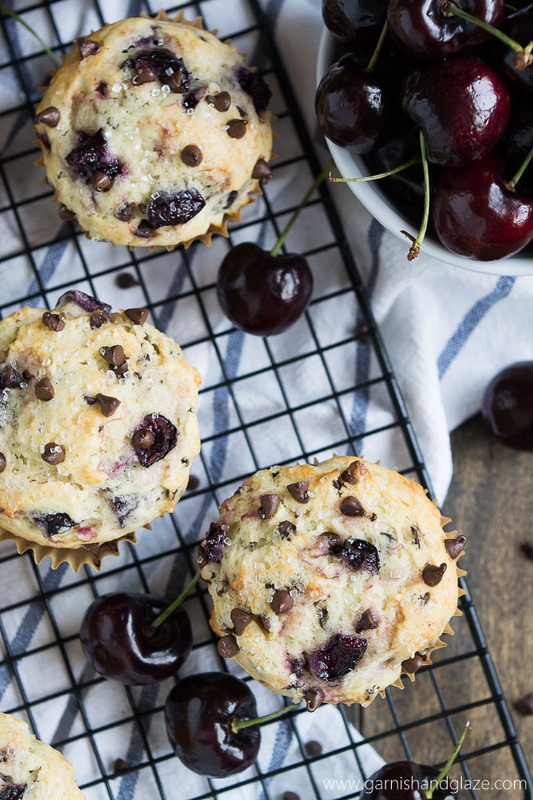 So why not start the day off with these Cherry Chocolate Chip Muffins?! I’ve made these muffins twice in the last month and both times they didn’t last more than two days. 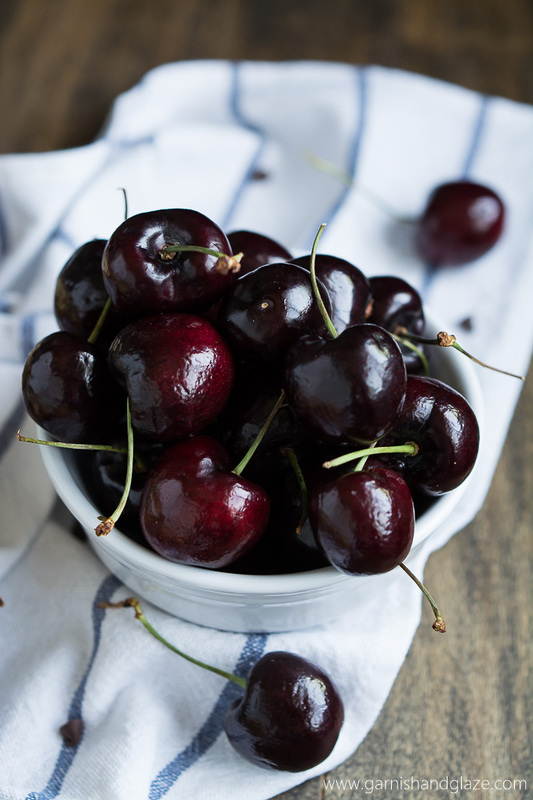 Aren’t cherries just gorgeous?! I love these sweet little beauties! My husband finds eating them annoying but I actually find it quite fun… though I did buy a Cherry Pitter which makes cooking with cherries much faster. 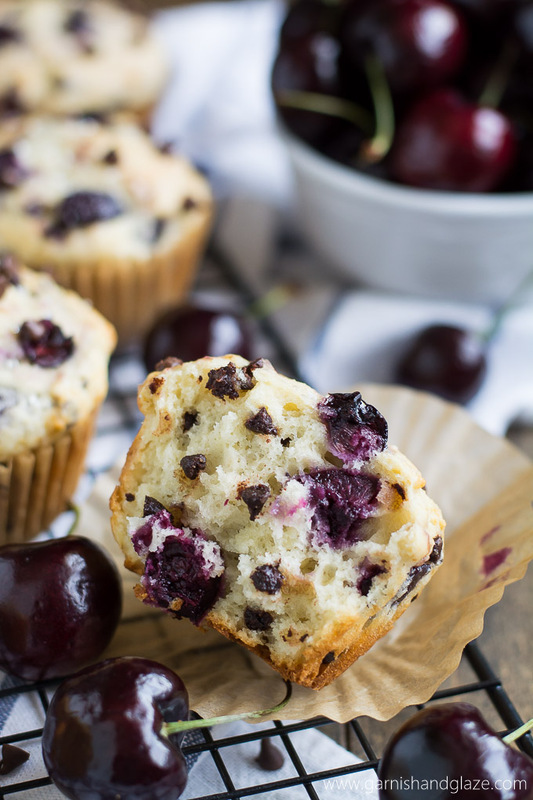 These muffins have the perfect texture– soft on the inside with a crisp outside. 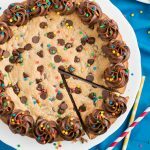 And the coarse sugar on top is optional but who doesn’t love a little sparkle and extra crunch? 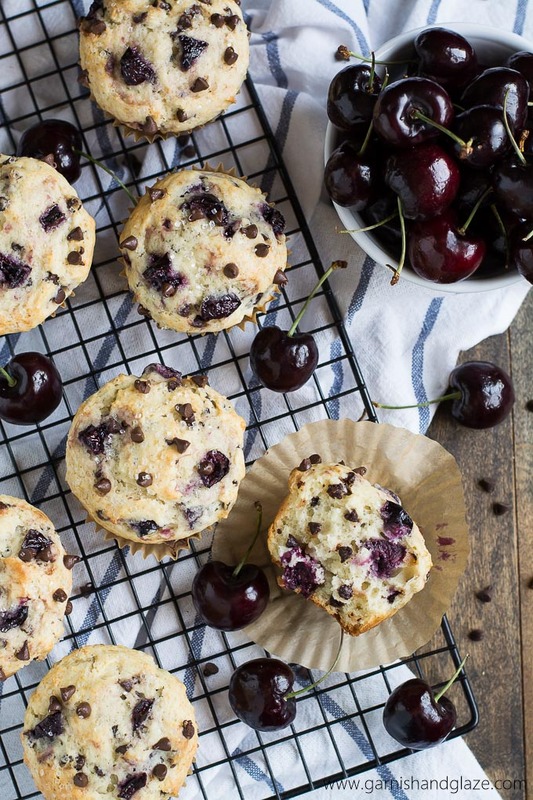 Hurry and make these addicting muffins while you can still get these lovely fresh cherries. Preheat oven to 425 degrees F. Line a muffin tin with paper liners or grease with cooking spray. Mix together flour, baking powder, and salt and set aside. 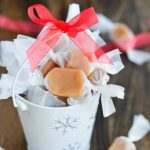 Mix butter and sugar together. Beat in the eggs and vanilla. Mix in the milk. Stir the cherries and chocolate chips with the flour mixture. Add the liquid mixture and gently stir until just combined. Divide batter among 12 muffin cups (they will be filled to the top). If desired, sprinkle with some additional cherries, chocolate chips, and coarse sugar. Bake for 5 minutes and then turn the temperature down to 375 degrees F and cook for an additional 13-15 minutes until golden. Let muffins sit in the pan for 5 minutes before removing to a cooling rack. Yes, I agree: A day without chocolate is not worth living! So you might as well get some in at breakfast 😉 Beautiful muffins! These are stunning! Cherries and chocolate pair amazingly- pinning! 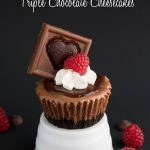 Mmm I want to make these! Yum! Totally agree with you cherries are super gorgeous and fun to eat! 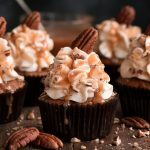 This muffins look sooo delicious!! 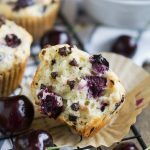 These muffins look absolutely STUNNING and sound even better! Seriously. 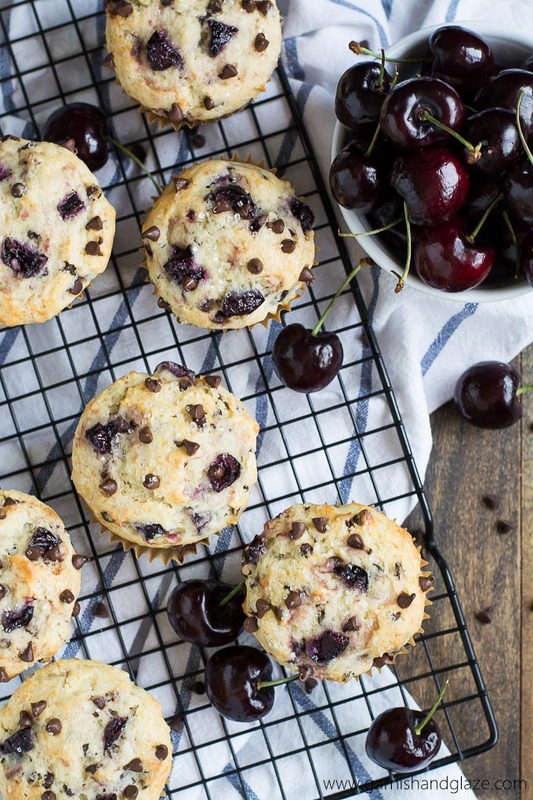 I need to get my hands on some cherries, assuming I can find some, and make these before the season is too far gone. Thanks for sharing!